It is SUMMER and HOT out so EVERYONE should be doing a moisture mask at least every three weeks. Once a week is best, especially since almost everyone out there has dry hair at this point of the season. 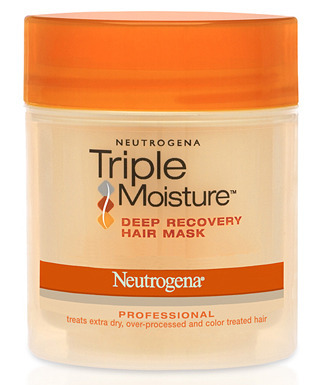 Neutrogena Triple Moisture Deep Recovery Mask works well and can be purchased at CVS. Apply to last 3-6 inches of hair lengths, NOT NEAR ROOTS, Leave in 10-15 minutes and rinse out with cooler water. If hair is only 3 inches long it’s not necessary to do a mask.